Spain can be dropped in the World Cup! The Italian-Holland team did not qualify for the qualification. Without these two teams, the 2018 Russia World Cup is a bit colorless. Now it is feared to fade further. 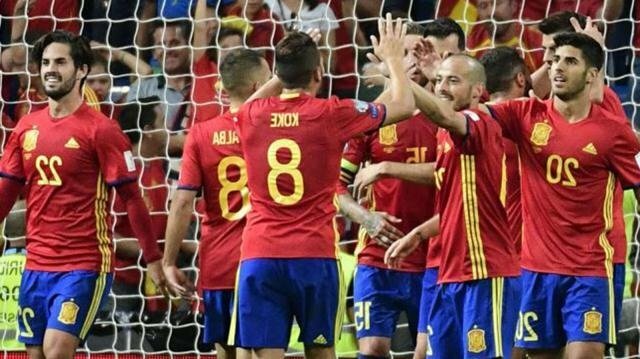 FIFA has threatened to expel Spain from the World Cup due to political interference in the internal affairs of the federation. FIFA has issued a letter to the Spanish Football Federation (RFEF) on yesterday. The problem is that RFEF president posts. Angel Maria Villar, who was president for nearly 29 years, was elected to the party last week on the eve of 8th. But police arrested him in July last year on charges of money laundering. Huan Luis Laurea became the interim president in his place. But being a 'guest of some time', Lorrea is now seeking to be the president of the rest of the remaining time (which will be finalized in 2020). Spain's National Sports Agency (CSD) has objected to this. Even in the last May, the country's Ministry of State, in response to the CSD's request, asked the Spanish Football Federation to make fresh elections by alleging irregularities. But FIFA gave the letter yesterday because of the interference of the foreign team in the federation. However, the FIFA letter is not seen in the Spanish World Cup, the country's Prime Minister Rahi said at a press conference in Brussels yesterday, 'I do not think there will be such a thing. I'm absolutely sure that Spain will go to the World Cup, and win. "The government's behavior towards the federation is also 'ideal' to Rahay.